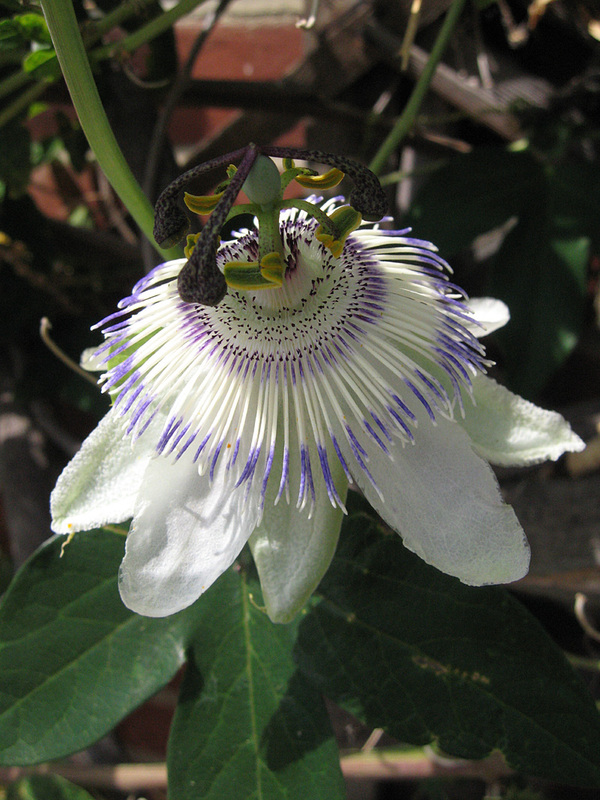 P. White Wedding x P. caerulea? Vigorous and hardy with nice globular fruit. Vanessa cardui, The Painted Lady on P. ‘Blue Crown’. 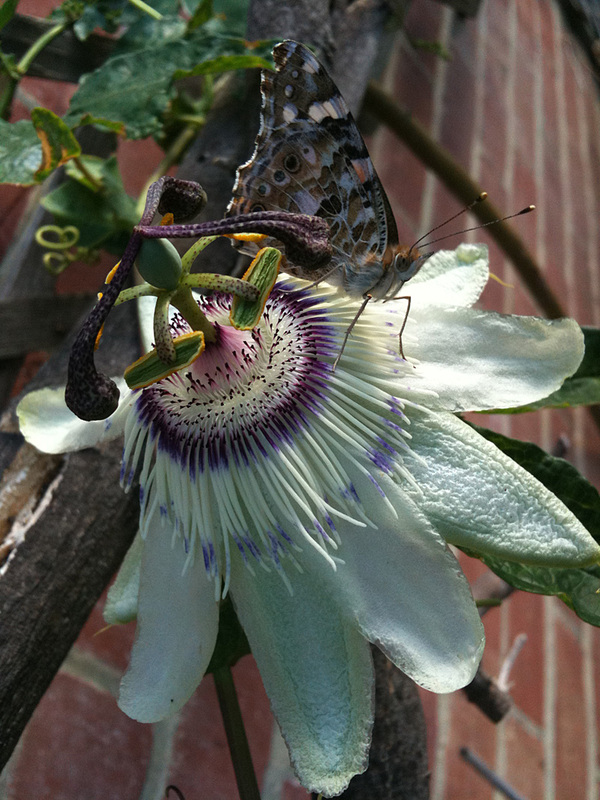 The first time I have ever seen a butterfly rest on a Passiflora in UK. ID by Neil Gale.